In your career, credibility is everything. To perform effectively, you need to develop HR expertise and apply it to behavioral competencies. And to advance in your career, your leaders, peers, and employees need to endorse you as a credible HR practitioner. This spring, trust SHRM Seminars to help you build critical HR competencies that will help you establish professional credibility and advance your career. Enroll in one of 25+ seminars, offered in-person in 12 cities across the U.S. and virtually using the discount code 18SEMWASH at shrm.org/seminars. *Offer only applies to 2018 SHRM Seminars and the 2018 SHRM HR Innovation Experience in Silicon Valley, excluding Virtual SHRM-CP/SHRM-SCP Certification Preparation Review. Offer does not apply to Seminars outside the U.S., SHRM Conferences or Seminars held at SHRM Conferences. Offer does not apply to other SHRM products. Offer applies to online and phone orders only. It does not apply to mailed-in orders, faxed orders, or purchase orders. Offer is not valid on previous orders and cannot be combined with other promotions. Expires December 31, 2018. 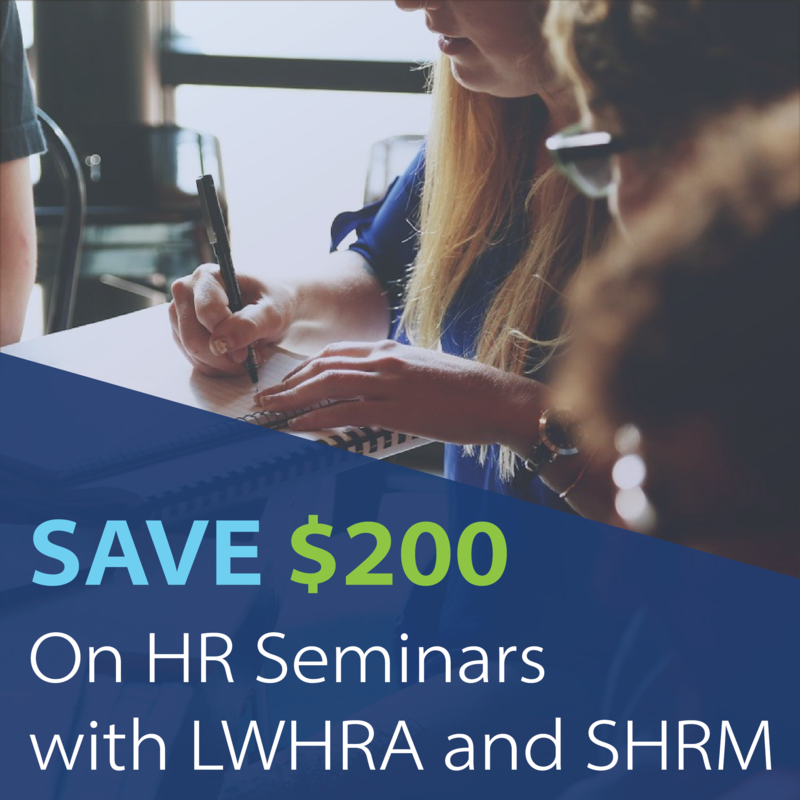 Comments on "Save $200 on HR Seminars with LWHRA and SHRM"